HÀ NỘI Climate change adaption and water management were top priorities for Việt Nam-Netherlands diplomatic relations, said Deputy Prime Minister Trịnh Đình Dũng. Speaking at the seventh meeting of the Việt Nam-Netherlands Intergovernmental Committee on Climate Change Adaption and Water Management in Hà Nội on Tuesday, the deputy PM said the Netherlands and Việt Nam were among the countries most heavily affected by climate change. Research and the application of technology proactive responses were important issues for both countries. Deputy PM Dũng extended his thanks to the Dutch government, ministries, agencies and specialists for their support and contributions to Việt Nam's sustainable development in the context of responding to climate change and effective management and use of water resources. Vietnamese Minister of Natural Resources and Environment Trần Hồng Hà said the Netherlands was an important partner for Việt Nam in dealing with challenges related to water management and climate change adaptation. Hà asked the Netherlands to help raise funds for the Mekong Delta to control landslides and erosion in the region, draft a strategy on flood prevention, and implement agricultural restructuring for sustainable development in the region. Dutch Minister of Infrastructure and Water Management Cora van Nieuwenhuizen said Dutch investors and businesses wanted to share their knowledge and experience with Việt Nam in this field. Cora Van Nieuwenhuizen emphasised her willingness to join hands with Việt Nam and development partners to enhance sustainable development in the Mekong Delta. On the same day, Minister of Agriculture and Rural Development Nguyễn Xuân Cường and Dutch Vice Minister of Agriculture, Nature and Food Quality Marjolijn Sonnema discussed ways to boost their partnership in sustainable agriculture and food security in Hà Nội. The two sides shared information and viewpoints on policies and the potential for bilateral co-operation within the framework of the Việt Nam-Netherlands Strategic Partnership Arrangement (SPA) in sustainable agriculture and food security. Cường and Sonnema agreed the development of a sustainable value chain was the backbone of the partnership between the two countries, with a focus on customer demands and production efficiency, not just productivity. Dutch technologies would contribute to the expansion of sustainable value chains by reducing post-harvest losses, they said. 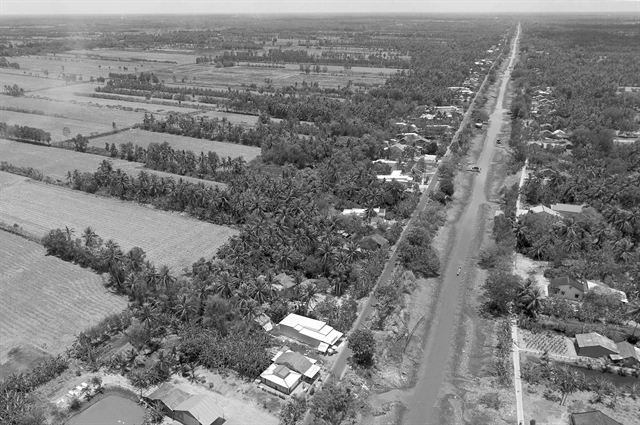 The two sides concurred that the Netherlands and Việt Nam would work to develop post-harvest technologies. They agreed the transformation of the agricultural sector in the Mekong Delta region would remain a major co-operation orientation between the two sides within the SPA framework. Over the years, the Netherlands has been a leading partner of Việt Nam in development, water management and climate change response. The two sides have implemented a number of projects in biogas development, food safety, climate change mitigation and natural resources development.